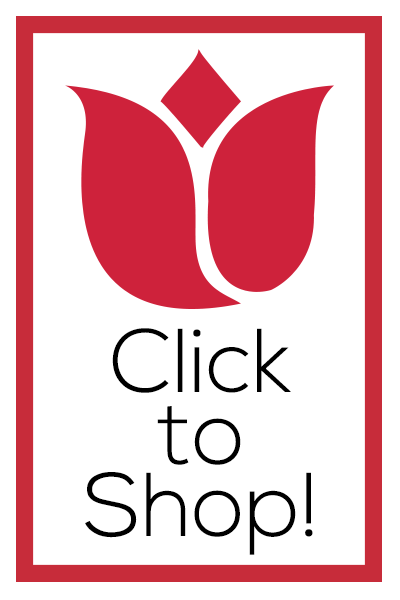 Start with a Very Vanilla Note Card (3 1/2 x 5) as your card base. Cut a piece of Mango Melody card stock to 3 1/4 x 4 3/4. Adhere with Snail Adhesive. With a Stamparatus (stamp positioning tool), stamp the bouquet image & sentiment in Soft Suede Ink onto a 3 x 4 1/2 piece of Very Vanilla card stock. Stamp the flowers in Mango Melody Ink, also using the Stamparatus for perfect placement. 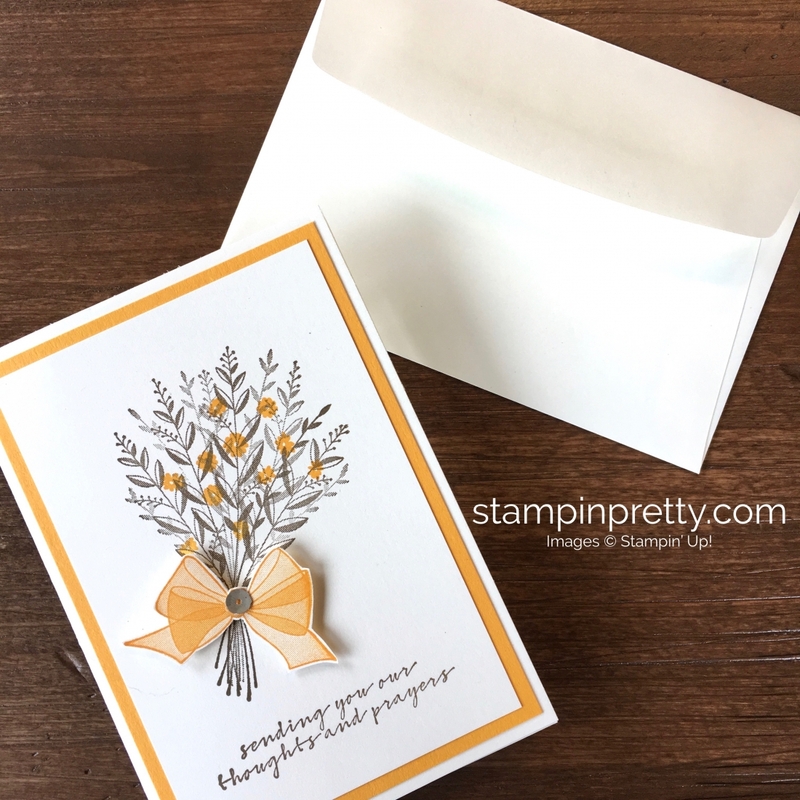 Stamp the bow in Mango Melody Ink onto a scrap piece of Very Vanilla card stock. Snip with Paper Snips and adhere as shown with a Stampin’ Dimensionals. Easily adhere a Basic Adhesive-Backed Sequin to the center of the bow for just the right touch of bling. 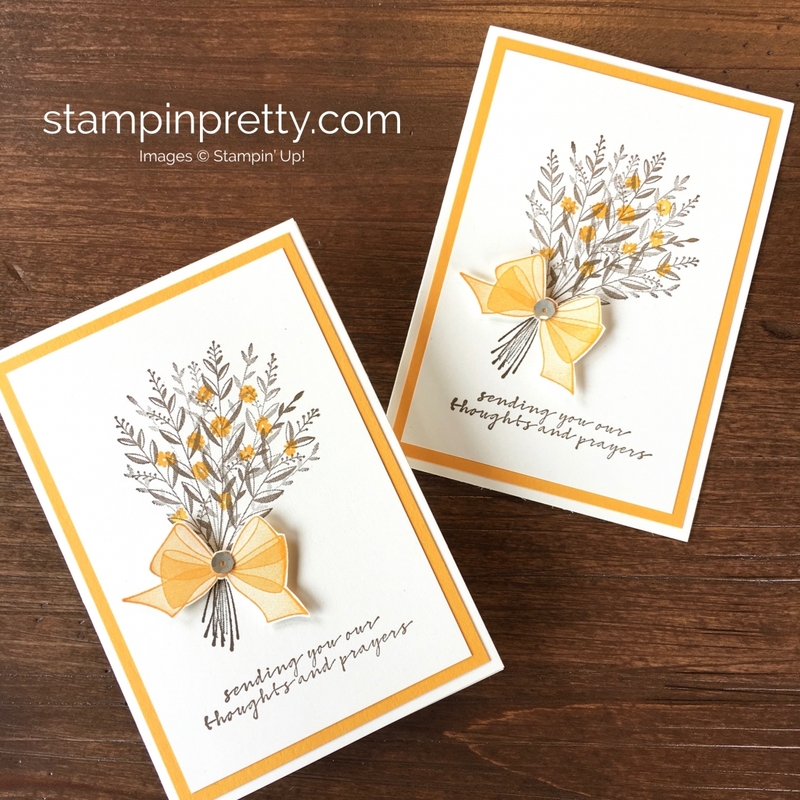 Wishing You Well Stamp Set – Images © Stampin’ Up! Beautiful card, thanks for sharing all your cards. my pleasure . . . i love this gig! Thanks, Carol. You’re a sweetie! The components of this card are great. I LOVE the spacing and size of the wheat, Your color choices, as always, are spot on. Adding that bow took it up a notch. You have brought to light another stamp set that I just HAVE to HAVE. TFS. Happy to be your enabler, Juanita! Sadly, it’s important to have them on hand. The bright side is how much they mean. Right, Frenchie? Such a pretty sympathy card……and the Mango is the PERFECT color. My favorite part…..The single sequin on the bow!!!! Those self-adhesive sequins have been getting a lot of action on my projects lately, Kadie! You are determined to tempt me getting the Stamparatus, lol. I have put it off but can see the multiple advantages over the mini MISTI I have. And some think I’m crazy but I just LOVE Mango Melody! I’ll make these this week, swapping suede for taupe. Sure do miss Tip Top Taupe. I’m confident you will love it. The Stamparatus has a number of features I can’t stamp without, Celia. Lovely card…. I love the simplicity of the card with it’s beauty.. Thanks, Bernice. That’s great to hear. It’s good to have a quick sympathy cards on hand. Love this card in the Mango Melody and the font of the sentiments in this set. Have a great day, Mary. I love the sunshine Mango Melody sends. Thanks, Hilda. Mango is the new yellow, right? Thanks for your thoughts, BK! I love this set, I’ve made 2 cards with it up to now, I really love the bow. Thank you Mary. Ruth down under. The set is the essence of simple and pretty, Ruth! Amazing way to use this stamp set! So glad I ordered it last night! I’m confident you will get a lot of use from the set. It could work for almost any occasion, Kim.